Georgetown, Guyana – Ministry of the Presidency (September 23, 2016) – President David Granger, today, co-chaired a special meeting in New York, which was convened at the request of United Nations (UN) Secretary-General, Mr. Ban Ki-moon with the aim of engaging Caribbean Community (CARICOM) Heads of States on issues affecting countries in the Region and to bid farewell to them as he is preparing to demit office in December. The President described the Secretary-General as a “great friend of the Caribbean”, noting that during his tenure in Office, he attended two CARICOM Heads of Government Meetings, which is rare for a UN Secretary-General. He reminded that the Secretary-General pioneered one of the most important environmental agreements, the 2015 Paris Climate Conference (COP21) agreement, which would have a significant impact on Small Island Developing States (SIDS). “Most of the Caribbean is made up islands and, therefore, the threat of rising sea levels and global warming is prominent in terms of their environmental agenda and these are important achievements of Mr. Ban Ki-moon’s tenure of Service,” he said. At today’s meeting, six CARICOM States addressed the Secretary-General. These are: The Bahamas, Belize, Guyana, Haiti, St. Vincent and the Grenadines and Saint Lucia. 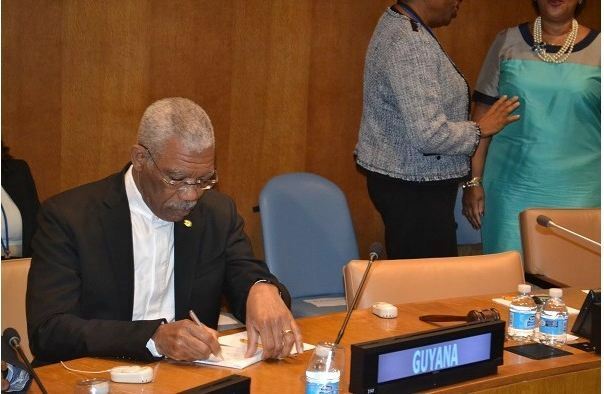 President Granger disclosed that Guyana and Belize spoke about their respective territorial issues; while Haiti raised concerns about the lasting consequences of environmental disaster and about the large number of people who were expelled from the Dominican Republic and are now suffering from a cholera outbreak. Meanwhile, Saint Lucia, The Bahamas, and St. Vincent and the Grenadines raised issues relating to corresponding banking. 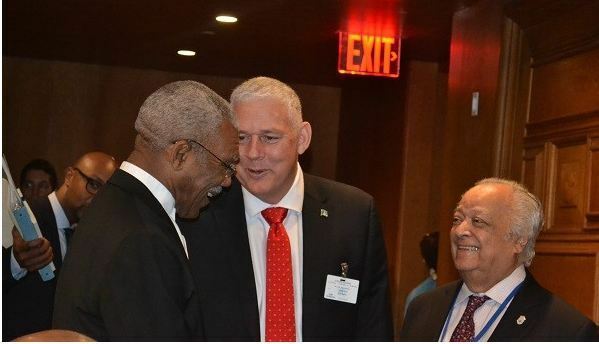 President Granger explained that Caribbean countries have been stigmatised as being centres of financial impropriety since their financial transactions are being treated as a block of delinquent States rather than being investigated individually. Speaking about the Secretary-General’s relationship with CARICOM, President Granger said that Mr. Ban presides over a complex array of services and programmes, particularly through the United Nations Development Programme (UNDP), to address issues such as poverty alleviation, migration, trafficking, governance issues, gender issues, youth and unemployment. 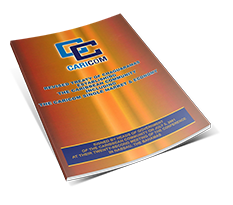 “He superintends a very complex network of activities and all of them have been geared to make the quality of life better in the Caribbean, particularly among the CARICOM States. We are happy that the UN programme is concerned with women, poverty alleviation, reduction of diseases, particularly vector-borne diseases. These are important areas for intervention by the UN,” the President said. Regarding the Guyana-Venezuela border controversy, President Granger is scheduled to meet with the Secretary-General tomorrow. The Head of State said that given the fact that Mr. Ban with whom Guyana has been engaged over the past years on this matter, will soon be demitting office, the country is not looking to start the process all over again with his successor. “Guyana has come to the conclusion 25 years after the Good Officer’s process has been exhausted and we do not intend to go back there. Our intention is to move forward to a juridical settlement, so once the replacement for Secretary-General Ban Ki-moon has been identified, unless he says something very definitive, it will be our responsibility to engage the new Secretary-General to move the process forward from where it is at present, rather than to go back to where we were before,” President Granger said. He added that through the shuttle diplomacy that had started between Caracas, Georgetown and New York, Guyana is satisfied that by now the Secretary-General would have been able to arrive at an assessment of the positions taken by Guyana and Venezuela so at this point, it should just be a matter of making a decision.